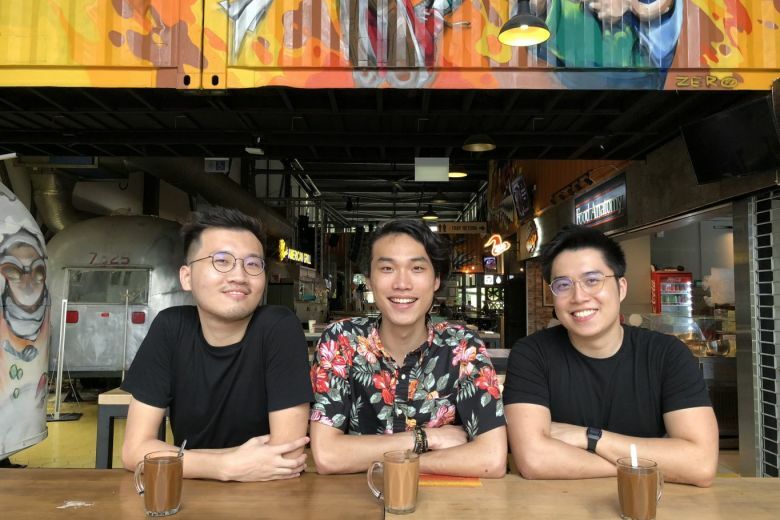 Munch is a food discovery app developed by two 24-year-olds in a bid to solve the quintessential Singaporean problem of deciding on what and where to eat every day. 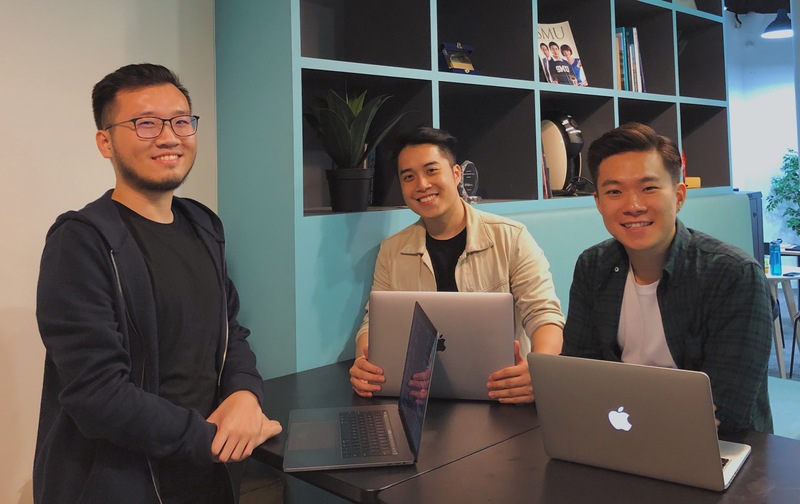 Co-founder, Earnest Lim, tells us about his entrepreneurial experience so far and the lessons they’ve learnt in their startup journey, including how he handled a former co-founder’s departure. While some entrepreneurs may hesitate to take money from friends and family, Earnest shares the one incident that changed his mind towards that mindset. We all have those days when we just don’t know what to eat and we leave it to our friends or our significant other to decide. Then we either find that the restaurant is too expensive, or that hawker centre is too far away, or get into a heated argument of who’s always planning the date. We also worry that the food isn’t good, so we go through reviews on different blogs and apps, and check out ‘Top 10 Affordable And Yummy Food To Eat In The East’ only to go back to square one. 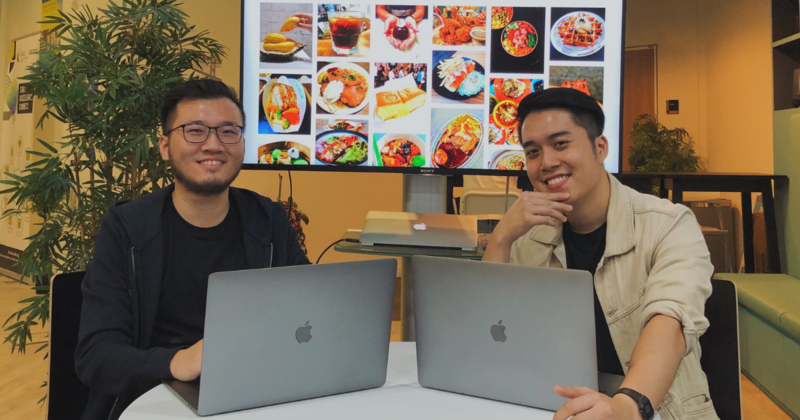 Enter Munch, a food discovery app and website that launched in January, developed by 24-year-olds Earnest Lim and Fuxing Loh, who both share the same sentiment about food listicles. “The reason why we are not a fan of lists is because… it doesn’t really help at all. Looking at a list of ’27 MUST TRY Japanese places in Orchard’ is not only not helpful, [but it can also] be exacerbating,” Earnest protested. “Imagine receiving a weekly curated list of places based on your taste preferences – something similar to Spotify’s ‘Discover Weekly’, or being recommended a new Vietnamese place that opened up near your workplace because we know you love a good bowl of pho!” Earnest said. He likens Munch’s purpose in the way that there are “various ride-sharing options available to consumers; sometimes you don’t mind pooling to cut cost and other times you may need something more specific”. With its machine-learning capability, the app is able to learn users’ behaviour, and it aims to identify situations where users need food discovery and then provide solutions for them. “The end goal is to make Munch the daily driver for food decision-making,” Earnest added. A look at Munch’s website shows a simple interface and some categories that users can click in to browse. In a glance, users can see the type of eatery it is from the accompanying tags as well as the average price per person. When the user selects an eatery to view its information, they can also see a segment that displays related articles, saving the trouble of visiting multiple websites. Scroll down further and users will find a trove of food photos tagged to the eatery that the site pulled from Munch’s content partners. This segment is dubbed, The Munch Feed, which is gaining popularity among food Instagrammers and F&B brands. 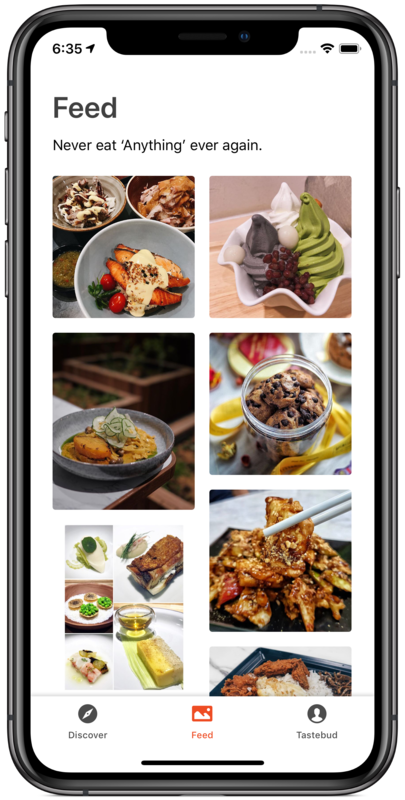 “Our system handles everything so we’re able to detect all the relevant food images and locations without them having to manually enter anything. The content partner only has to click one button and they’re on the platform, hence they see the value in coming onboard,” he explained. 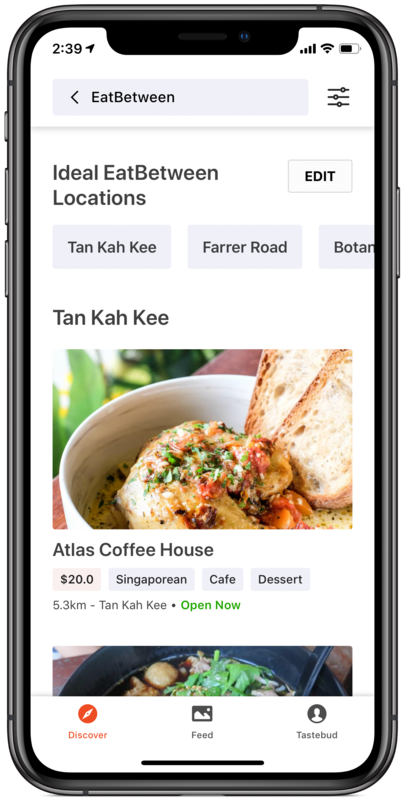 Some of the other non-AI features in Munch that aim to solve daily problems users face include allowing users to save places to a personal collection and a tool for group dining called, EatBetween. 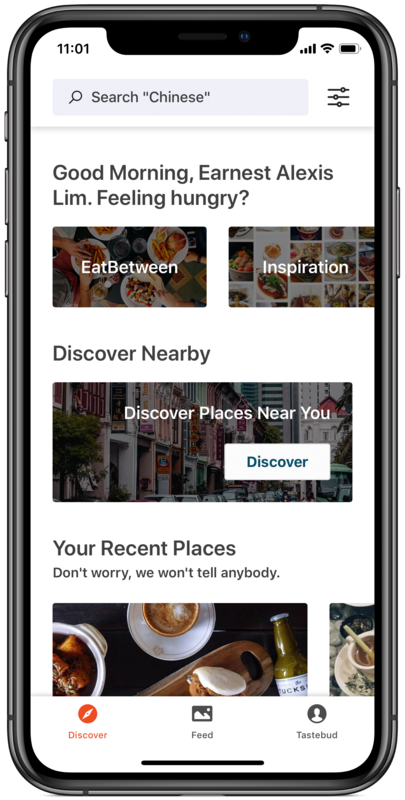 The EatBetween function lets you enter up to 10 locations, triangulating an area in between those locations and populating it with food suggestions, and then lets you filter those suggestions further by price, cuisine, amenities, establishments, and timings. “The EatBetween feature did not take long (to come up with), as most of the work went into building the backend infrastructure which allows us to aggregate millions of data points,” Earnest shared. The founders have had acquaintances in SMU recommend EatBetween to them, not knowing that they were the ones who built it, and Earnest finds it very encouraging. The Munch team has also created a Telegram channel named, Don’t Think, Just Eat, that gives channel members five food suggestions twice a day during lunch and dinner. Earnest believes their “AI-enhanced system” is the reason behind Munch’s innovative features as it “unlocks resources” that lets them focus on building the user experience. “The analogy here is that if you can automate your kitchen such that you only require one or two chefs, you can spend more time and money [beautifying the restaurant] to ensure your guests have a great experience. Plus, an automated kitchen is able to scale a lot quicker,” he explained. According to Earnest, the channel is “a hit amongst the university and working-adult crowd”. 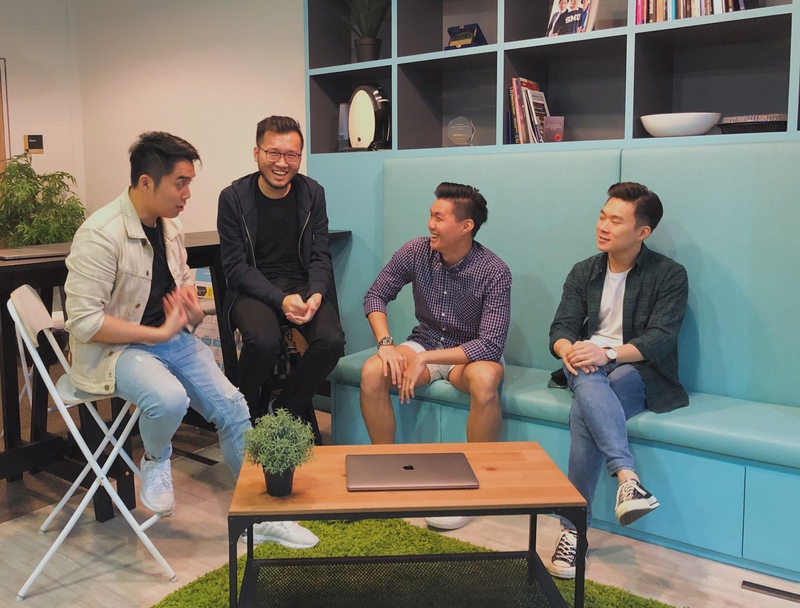 Prior to his enlistment, Earnest ran a business called, Inked, which he claims was the first company in Singapore that provided on-site t-shirt printing service at events. “Our first gig was at the OSIM Sundown Marathon in 2015 where we had non-stop queues up to 2-3 hours for people to customise their race jerseys,” he recounted. 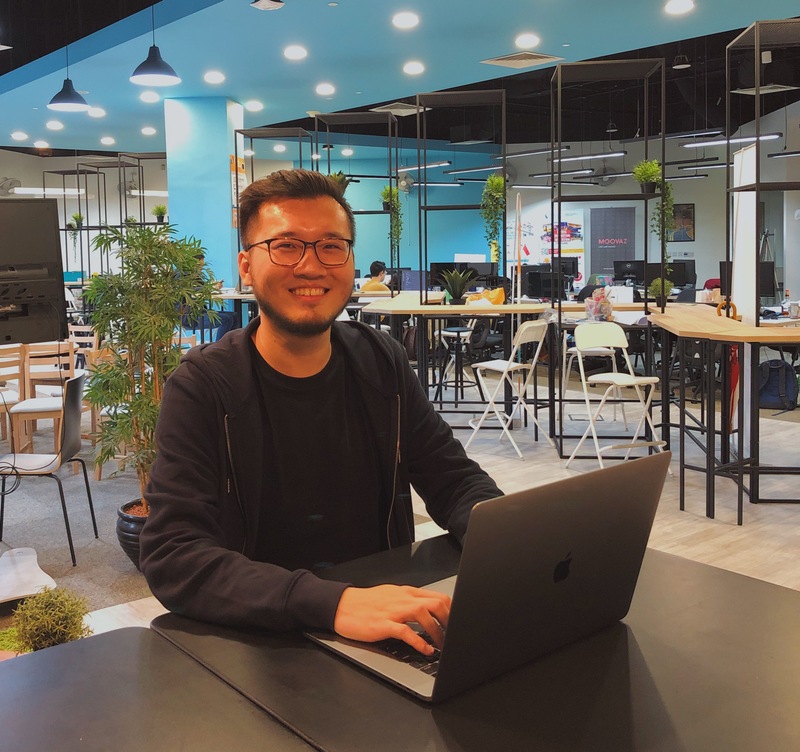 As for Fuxing, he ran a web and app development agency before he enlisted too, and he learnt that although that was profitable, it wasn’t a business that scales well. Fuxing felt “constricted” in his role as he found clients’ requests repetitive, which disabled him from improving his skills, so he sought to “not stagnate and be comfortable” even if it pays. They met while serving National Service (NS) and Fuxing was telling Earnest about how he had built a system that could “aggregate a ton of data” and asked him what would he do with it. “It didn’t take us long to hit the ground running on deciding what we were going to build – a system that could recommend food to users through AI. We spent countless hours in and out of camp working on the project – this was way back in August 2016,” Earnest shared. They formally incorporated the business in December 2016. In an interview with Straits Times last year, Earnest said he ate cai png everyday for four weeks straight in order to save money to launch the company, Munch Technologies. Together with another friend, Keith Wong, they started up Munch with an “initial investment of $40,000 from family and friends”. When they decided to work on it full-time in April 2018, they still had a “quarter of the original amount remaining” and were taking the time to look for investors who would give them free rein to run Munch while providing mentorship. Currently, Earnest shared that they are still bootstrapping until they “have more concrete numbers”. “Munch is operating in a space where a lot of scepticism [abounds], which is understandable,” he added. However, he revealed that recent talks with various private equity firms and venture capitalists look favourable, and they may take up funding in mid-2019 “if the numbers are promising and [they’re] able to find investors who support [their] vision for Munch”. “To be completely honest, we’re extremely lucky as we have had extended family reach out to invest ever since the (ST) article, hence we’re not in a hurry to raise funds,” Earnest said candidly. But, he noted that some young entrepreneurs are hesitant to admit that they received financial assistance from family because it seems to take away their credibility as a founder. Earnest was initially adamant about that, too, as he wanted to “strike it out on [his] own”. After his first company was able to achieve a product-market fit and generate revenue, he realised two things that made him change his mind on taking family money. “Firstly, I knew I could only take family money if someone from the private market made an offer – which occurred,” he listed. Since he decided to rely on family capital, he believes it should be treated as if “it’s gone for good” and that the source of these funds wasn’t initially set aside for rainy days. He isn’t affected by the pressure to succeed as they’ve had transparent and clear communications on what would be done with the cash. The both of them constantly remind themselves that they are lucky to have this option, and to stay humble and grateful. “From a startup point of view, early money is always expensive and if you can delay outside financing you will be in a better position in the long run. Thankfully, most investors that I have spoken to share the same sentiment and gave their honest opinion on the matter,” Earnest said. On his journey so far, he expresses appreciation for the “capable talent” he hired who didn’t expect high salary, and who believed in the company’s vision and technology. Earnest then disclosed that Keith has left the company on amicable terms and they remain friends. It was a misalignment of values in what Keith wanted as an individual and what Munch, as a tech company has to offer, that led to his departure. Reflecting upon this event, he believes it’s fortunate that they “came out of it unscathed” and realises that “no matter how close you think you are with your friend-turned-co-founder, a startup environment will test that relationship”. Despite making good headway at work, Earnest shared that from their inception till now, their biggest challenge is making sure Munch is solving an actual problem. “We were deathly afraid that we were looking for nails because we had our nice AI-enhanced hammer. We spoke to hundreds of strangers, friends and industry people to check our assumptions,” he explained. Another problem they face is distinguishing their product from others in a saturated market – that they are not just another app. 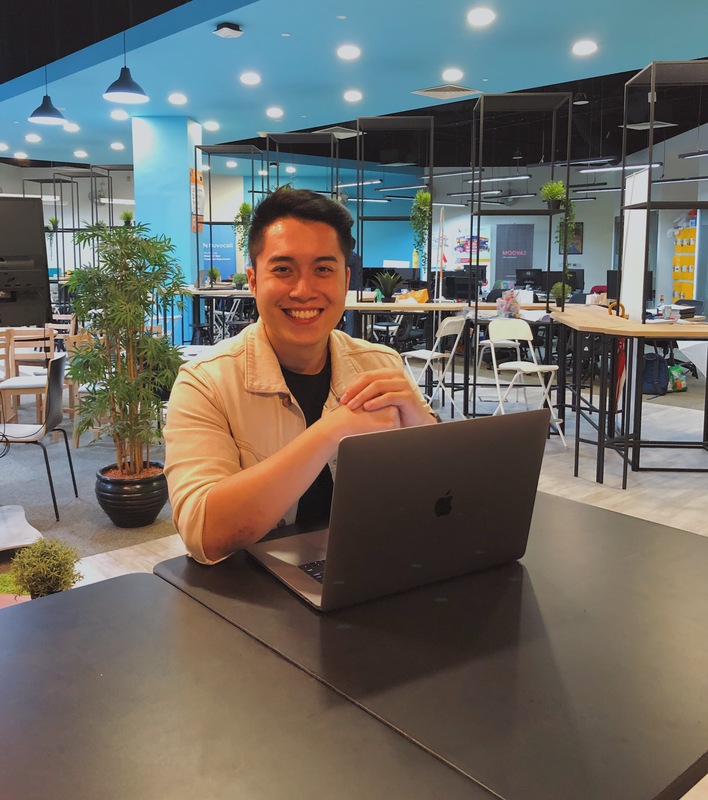 Users have asked them if they’re like food-tech companies like Foodpanda, Chope, Eatigo, and WhyQ, but Earnest described Munch as “operationally and technically” complementary. In a user’s journey to finding the ideal place to eat, one would have to first discover a place, then reserve, get a deal, and then have it delivered. “It might seem like it took us a long time but this was considering we worked on it while in NS and managing school,” he stated. Earnest and Fuxing enrolled in the Singapore Management University (SMU), both pursuing courses related to their interests. Fuxing’s course in Information Systems began in 2017 while Earnest began his studies in Business in 2018, but they are currently on leave of absence to focus on Munch. When they were student-entrepreneurs, they managed to get incubated by the SMU incubator programme which helped them greatly. “[Besides] the $10K grant, there’s a great co-working office in town and amazing connections. There are so many mentors available to us that we can request to meet anytime!” Earnest enthused. In one of the events the incubator organised, the Munch team was able to attend a sharing on UI/UX design by Grab’s head of product design. On whether a university degree is vital for entrepreneurs, Earnest thinks that getting one for the sake of it “misses the mark” of education. “It is evident that academic institutions are finding it hard to keep up with the sheer velocity of information change, especially in a tech startup,” he shared. As he went on, he admitted that being in a university has given him access to networks and such. “People are more willing to hear you out if you say you’re a university undergraduate, even more so if they’re alumni themselves,” he shared. But he also concedes that it’s “highly dependent” on individuals as some find their calling and partners in university, and counts themselves blessed for answering that call and finding each other early. It was a difficult decision to put their studies on hold but they believe that such an opportunity to develop Munch is hard to come by. 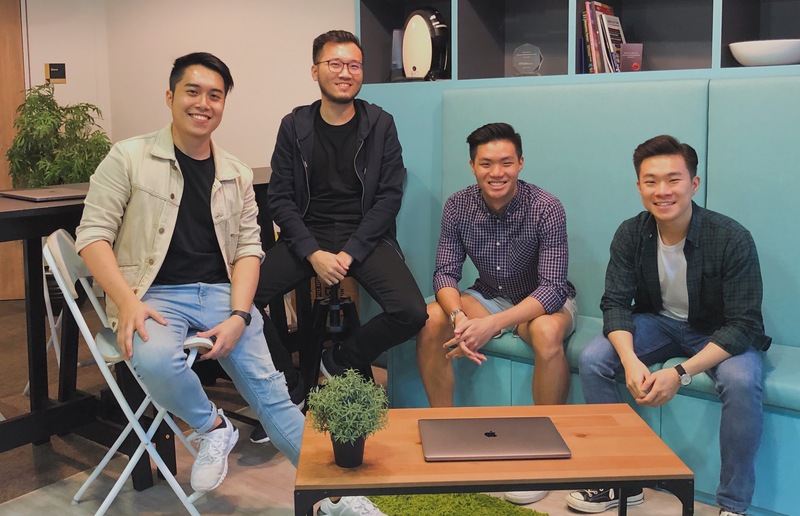 The team deduced that it would make more sense to collaborate with businesses like Foodpanda and WhyQ than compete with them as that would mean operating an entirely new arm of the business, which would render their current advantage ineffective. “We’re fairly confident in being able to form mutually beneficial partnerships in due course once we have stronger user numbers,” Earnest remarked. 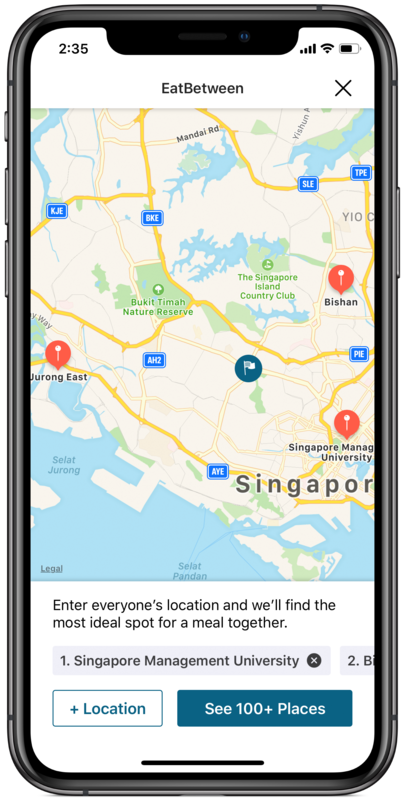 With the launch of the Munch mobile app for iOS and Android this month, Earnest said they’re excited to start testing AI-driven features that will value-add the discovery experience. That includes more features that provide suggestions catered to users’ tastes and lifestyles based on their behaviours – a challenge they look forward to tackling since they already have a massive database of restaurant metadata and data and a solid system that can handle that. “We’re also eyeing a few other cities in the region to test the technical feasibility of scaling. [The] system allows us to acquire data very quickly so it might take a mere matter of weeks to capture all the relevant data in another city if the data infrastructure is right,” he announced. Earnest is positive with Munch’s revenue-generating potential and capabilities. Its data aggregation function has churned out vast amounts of data that can be used for business intelligence and market analysis, among others, he explained to me. “Some investors have flat out told us they would write a cheque if we only did the B2B [part] and drop the frontend,” Earnest said. But that only affirmed them that there’s the prospect in developing the frontend. As for the B2C component, Earnest teased, saying that they “have a very interesting idea which does not exist in the market yet” but is unable to comment further, and added that they are considering going into advertising while being careful to not disrupt the user experience. They could tweak Munch’s current system to aggregate other forms of data; they could syndicate data to clients or go into the SaaS (software as a service) industry and build the same thing for larger organisations looking to cut down on manual data processes. “We aren’t super worried about Munch failing from a ‘personal life’ point of view because we’re aware of the capped downside, so we’re extremely focused on maximising the upside for now! He wishes fellow student-entrepreneurs all the best in their endeavours and to get their priorities in order, whether they identify as a student-entrepreneur or entrepreneur-student. “People in our situation are usually caught between a rock and a hard place,” he empathised. I’d like to thank Earnest for taking time out to share his valuable insights on his venture at Munch. 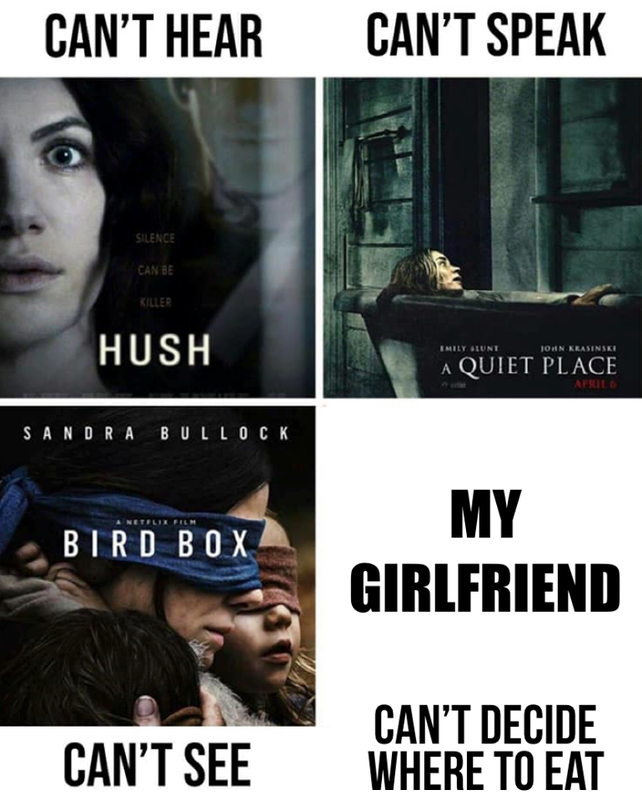 Check out Munch here. Download the Munch app for iOS here and for Android here.